These 5 tips for decorating with antiques will help you pull your old-meets-new look together in a fresh way. A combination of aged textures, antique artwork and pretty collections lends a sophisticated, Old World feel to this newly-built home. 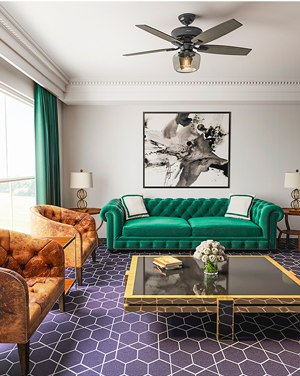 Gordon Kessler and Larry Johnson are the design duo behind Gordon + Johnson Interiors, bringing Southern hospitality to homes up and down the eastern seaboard. The pair collaborated on the lakeside home of an antique collector, and have a wealth of knowledge to share from the experience. 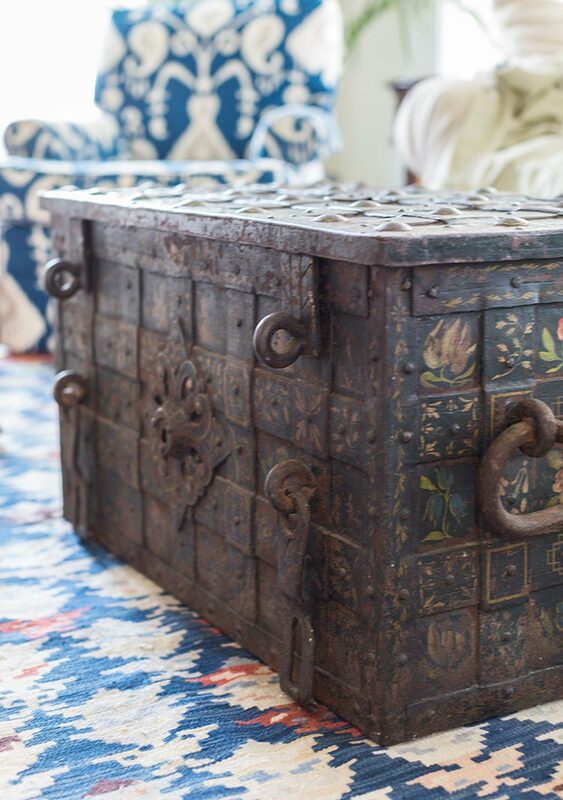 Here are a few of their top tips for decorating with antiques! Unique area rugs and antique‑style furniture create warmth with their vibrant color palettes and folk art flavor. It’s important to be picky and carefully choose a few pieces that you feel will add to, not overwhelm, your space. 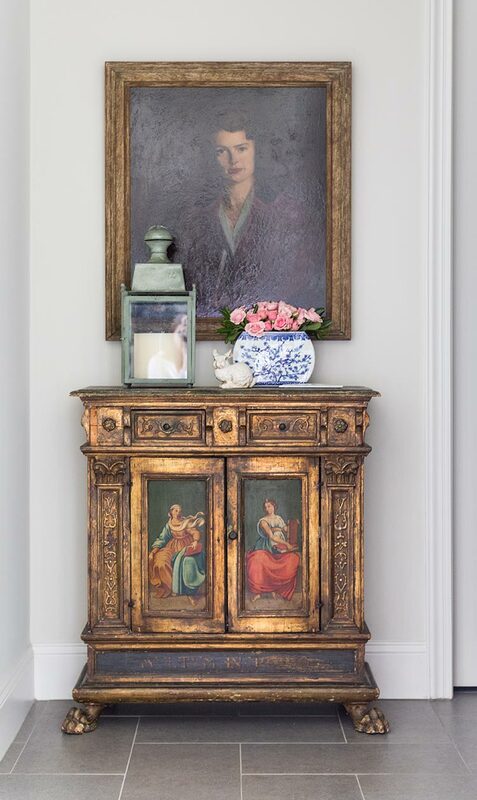 Whether it’s a vintage dresser, a sculpture or an antique book collection, “more is not better, and too much old can make a room feel dowdy and dated,” Gordon says. 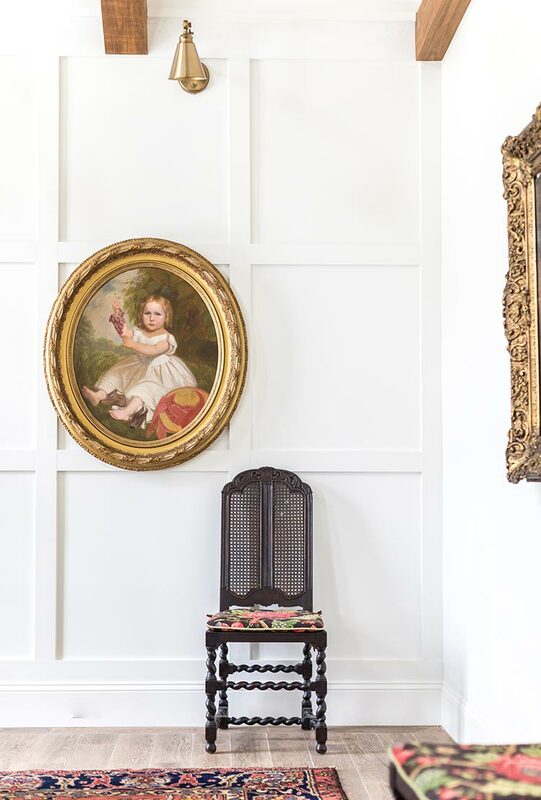 A vintage portrait hangs above a gold painted cabinet. Though the eras represented are clearly separated by hundreds of years, the two pieces are united by a common color palette. 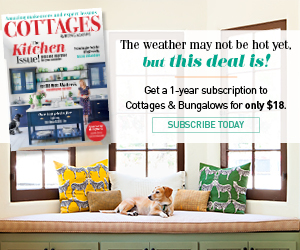 Consider where you’d like to place your antique pieces. Imagine them as three-dimensional art, and place them in what’s called your “money shots.” “These are the focal points, providing opportunities of greatest impact when you walk into a room or a vantage point from another room,” Gordon explains. Using money shots, you can build the room you’d like around your pieces. 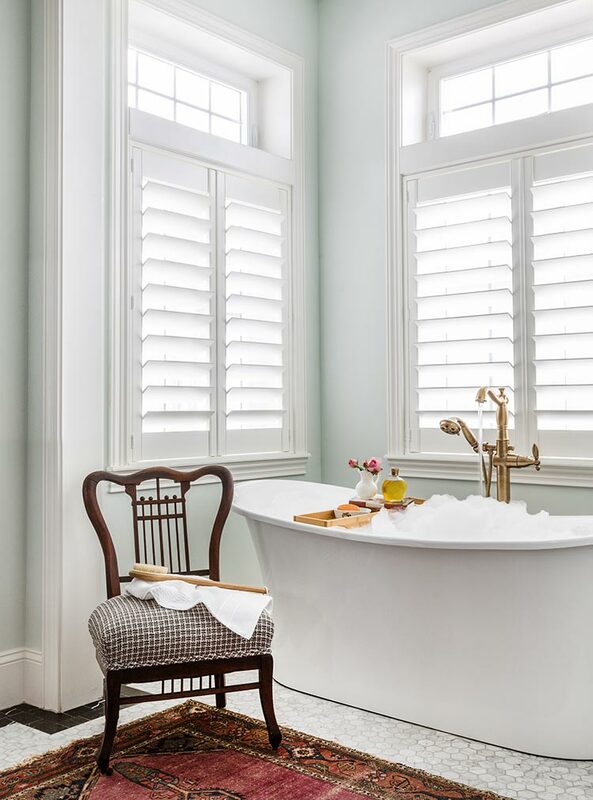 This bathroom has trendy marble floor tiles and a modern bathtub with an antique rug and vintage-inspired faucets. Just because an item is older doesn’t mean you need to use it, possibly at the expense of its surroundings or the overall look. Today it’s more common to use 20th-century Midcentury Modern or 1930s or ’40s pieces that are smaller in scale and can be added as complementary, not space-taking, elements in a room. 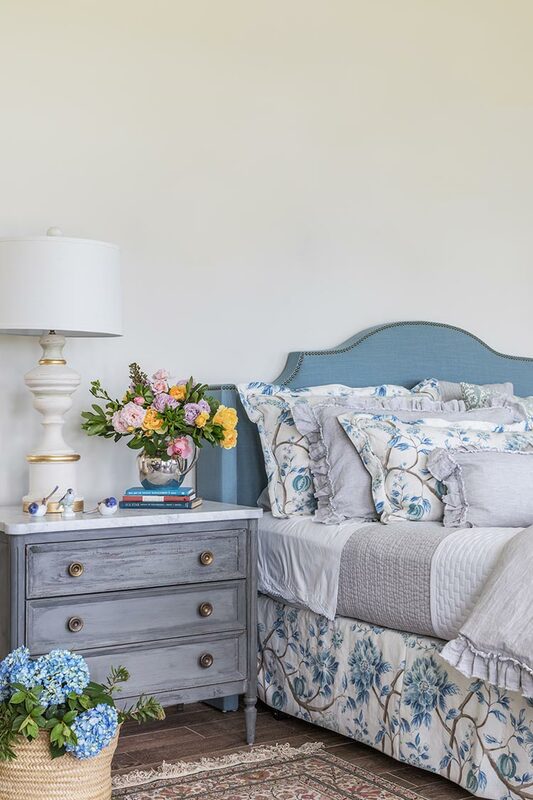 Floral patterns and soft colors infuse the bedroom with a refreshing personality. Understanding the scope of use for your pieces is important. 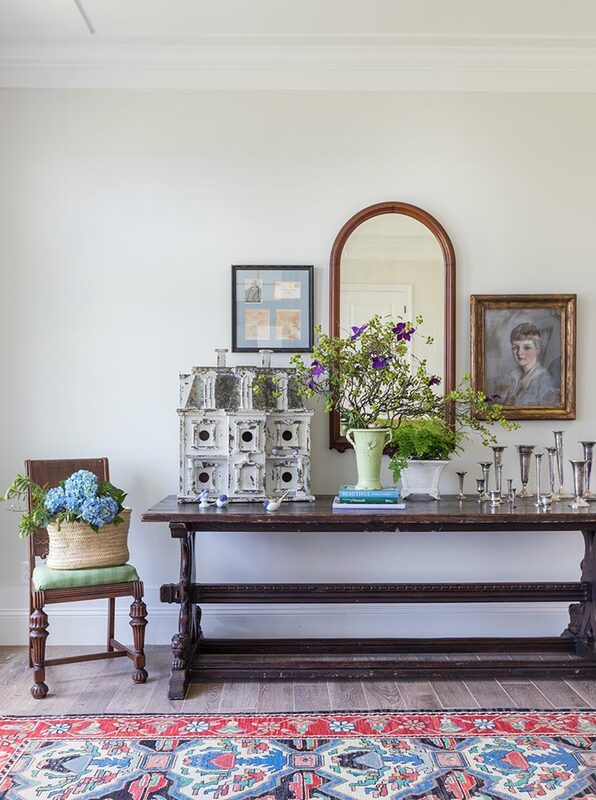 “Antiques are not usually situated for everyday use,” Gordon and Larry say. The designers recommend using new 21st-century upholstery (excluding occasional chairs or statement pieces) and wooden furniture to give your space a beautifully antique feel without compromising the utility of the pieces. 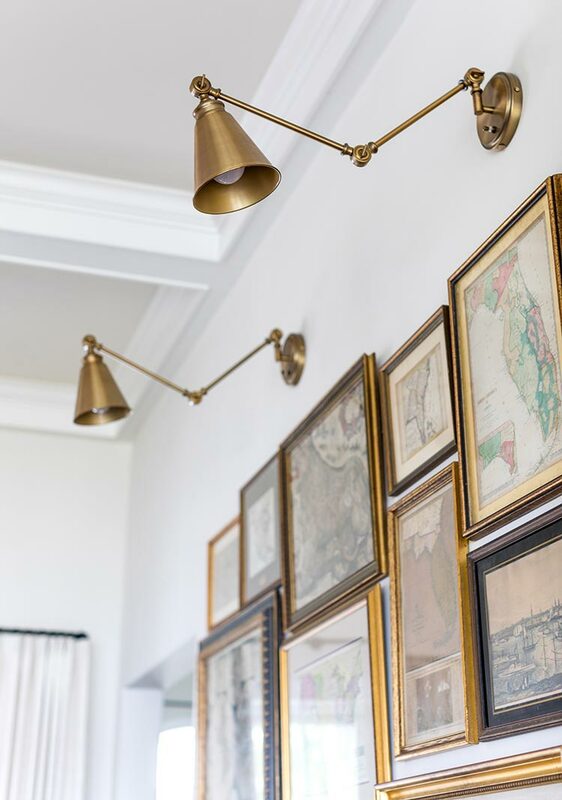 Classical art in ornate, gold frames pairs beautifully against the simple, geometric wall paneling. 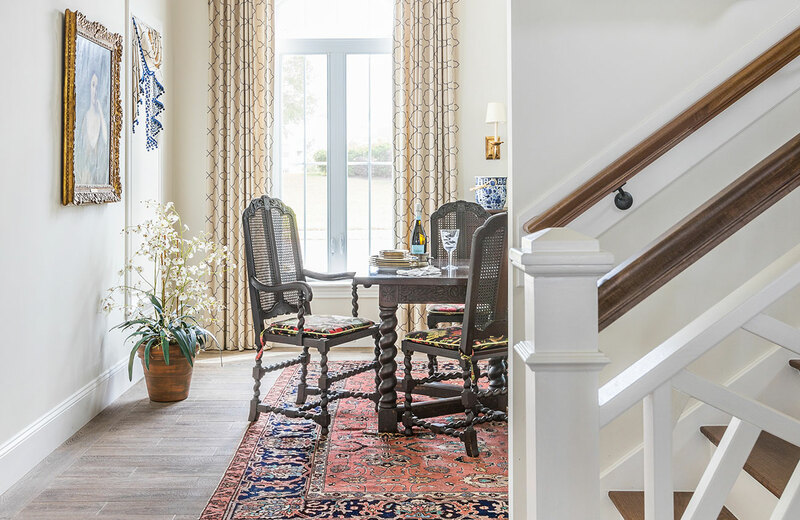 Whether you’re looking to add an entire antique collection or a few complementary pieces to your home, it’s important to establish and understand your display plan. 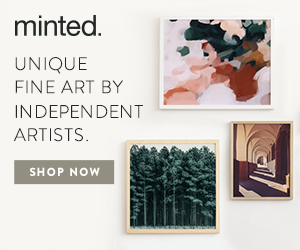 Define the display space, and keep pieces together. To incorporate various collections or groups of items together in one room or area of the home, “keep negative space between groupings and statement pieces so they can shine on their own merits,” Gordon says. A gallery wall of vintage maps and other ephemera are hung close together. Overhead, two brass wall sconces shed light on the display.